A sales person creates a new wave and then adds his client/lead to the wave. They marks the entire wave as private so comments in the wave that the authoring party makes available to everyone else in the wave. 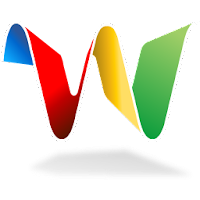 The Google Voice (GV) extension is added into the wave. Because the client is already part of the wave and because the sales person has the client's phone number in their contact list, GV can read the client's phone # and allow the sales person to initiate a call right from within the wave. The sales rep calls the client from within the wave and they have a conversation. GV tracks the total talk time, and once the call is over, creates a transcription and mp3 recording of the call and adds those as new blips in the wave. The sales rep adds a new Document using the Proposal template to the wave and then marks it as public so the client can see it. The proposal template is associated to a Spreadsheet that contains all of the company's products so that all the rep has to do is select the necessary products the customer wishes to purchase from a drop-down list within the document. The client and sales rep collaboratively update which products and in what configurations the quote will include. A technical question comes up that the sales rep is unable to answer. The rep adds the sales engineer (SE) to the wave to answer the question. The SE reviews the call history and proposal document and realizes they need additional information to properly answer the question. The SE adds a Calendar invite to the wave and sends an invitation to the client to have a conference call. The engineer then uses GV to call the client and answer the question. When the proposal is complete, the sales rep adds a company created robot to the wave which reads the proposal document and pushes the order to the company's order management system for fulfillment. The order management robot checks on demand for the status of the order and eventually pulls back in a shipping notification, along with a tracking ID from the shipper. The customer adds in a shipper's tracking robot to the wave and can see on a map, within the wave, the package's route and its estimated delivery time/date. Document collaboration = Just like in the example of the sales team and the Proposal, requirements could be managed within Wave's framework. No matter how you track your requirements, matrix, standard document template, user stories or whatever else, Wave will allow you and your customers to simultaneously modify and comment on the document. No longer do you need to worry with someone editing your content, because if they get it wrong, you can see what changes they made and put them back (or more likely come to a compromise). Distributed teams = Developers in Delhi? Business in Boston? Deployment in Denver? Support in Shanghai? Imagine being able to pop in a GoToMeeting extension and record a video conference call, with saved video (courtesy of YouTube for Business) of everyone who attended. No need to reserve a conference room, now you need a headset and your laptop's built in webcam. Search = We can't forget that Google's primary focus is search. You can now put all your information right into Wave and know that the world's most powerful search engine can rifle through your data and provide you with the needed answers in mere moments. Interaction Design = While not strictly a BA task, many of us do find ourselves doing this function. You've already got a web browser open if you're using Wave, so why could you not add a web based design tool and interactively create a few site mockups? Transparency and Accountability = Wave will allow you to be as open or as closed as you want or need to be. Your clients and customers have the ability to see all of your work all in one spot. Reviews can be handled within the document. Sign-off can occur for everyone to see (and for everyone to see who is withholding approval). If you have played around with Wave, you are likely wondering what version of the application I'm using because you haven't seen anything like that in time time you've spent with it. Yes, you are correct, little of what I have described can actually be done in Wave today. I implore you to give it time; they will get there. Google is trying to do something radical here, and the more radical it is, the more difficult to see it in its early stages. If the pull it off, and they are Google after all so there is little doubt that they will fail because any technical lack, it will change the way you work and play. Federation = You'll notice that most of what I've talked about is integrating different Google products together. Google is smart enough though to realize that while most people use them for search, most people do not use them for anything else. That's where Federation comes into play. Wave is more a set of technology building blocks that anyone at any company can use to connect up to Google's implementation, but other companies will have to build those links if Wave is to take hold in the marketplace. Imagine a world without airports and being the first person to build one. You can take off and land airplanes, but you always end up back at the same location. Without other people (companies) building other airports (Wave Federation), a single airport will not do you (much) good. Complexity = Wave is a complex beast. The idea seems simple, to meld all of the existing applications into a single, cohesive framework, but if you do a quick look for reviews of Wave, you'll notice one thing they all say... what exactly is it? Many people are making Wave out to be a solution in search of a problem. If users don't see how Wave benefits them, what betterment it brings to their life and work, then it will fail. I've presented in this post a view of what I think Wave will look like in the not so distant future. I could be wrong, but I believe that I am not too far off the mark. Don't believe me? Think about all I've said, and then take a look at some of the recent Wave developments I've linked to below, then tell me if you still feel the same way.